LED lighting is nothing new, but it is gaining more and more popularity as homeowners become increasingly energy conscious. According to the U.S. Department of Energy (DOE), LED lighting is expected to represent 36% of lumen-hour sales by 2020, and 74% by 2030, and for good reason. 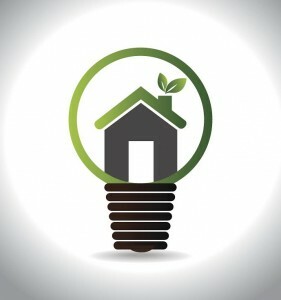 According to the DOE, LED lighting is one of today’s most energy-efficient technologies. LEDs produce much less heat and use 75% less energy than incandescent bulbs. Oh yea, and they last longer about 25% too! That’s what you call a win-win. The price of LED lighting has dropped 85% since 2008 and continues to become more and more cost effective. Studies have shown that the cost of electricity, mainly from incandescent bulbs, accounts for roughly 25% of the average home’s energy budget. By replacing just one incandescent bulb with an energy-saving LED light bulb, you can save over $50 on your yearly electricity bill, according to GreenConduct.com. If every home in America switched to LED lighting, nearly 90 power plants could retire, according to experts. LED lighting can be installed in virtually any room in your home, and when you trust the experts at TriStar Electric you know the job will be done professionally and on time. If you are interested in learning more about incorporating LED lighting in your home, you can trust the experienced and knowledgeable electricians at TriStar Electric to walk you through the process. We will inspect your home and offer our suggestions for lighting placement. The LED bulbs we use are available in a variety of strengths and colors— some produce a white glow that is warm and welcoming, while other LED lighting produce a bluish hue. TriStar Electric also carries energy efficient lighting accessories, including dimmer switches, recessed lighting, and lighting controls. Feel free to contact TriStar for your free in-home lighting and energy saving evaluation. We have helped thousands of homeowners switch from traditional to energy efficient lighting. If you are interested in learning more about our LED Lighting Services in Maryland, please contact TriStar Electric by calling 410-799-5791 or 301-384-8880 or fill out the contact form on our website. Our electricians will answer your questions and provide you with expert advice. We are available during normal working hours, and service most parts of Maryland, Washington, DC, and Northern Virginia. This entry was posted on Monday, January 12th, 2015 at 3:25 pm. Both comments and pings are currently closed.